Have you ever been in the midst of making something—a quilt, an elaborate meal, a new garden bed—and become so engrossed in the process that you lose all sense of time and place? This is a phenomenon that psychologist Mihalyi Csikszentmihalyi calls “flow,” a state that is usually triggered by intense creative activity. Although Czikszentmihalyi’s research has focused on professionals—people who make a living as artists, composers, poets, etc.—others have shown that similar feelings can occur with everyday creative activities—like quiltmaking. Experimentation is also evident in today's DIY community. New people are discovering quiltmaking and longtime quiltmakers are embracing new ways of thinking about quilts, as evidenced by the Modern Quilt Guild and magazines like Quilty, which target younger quiltmakers and beginners. Bold colors, reinterpretations of old patterns, and utilitarian bedcovers comprise the new “modern quilt” credo. 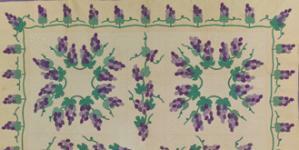 The current DIY movement is only the most recent revival of quiltmaking, however. 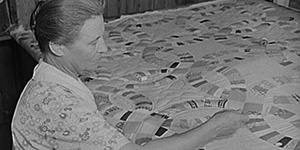 Quilt revivals occurred across the 19th and 20th centuries, each new generation shaping the artform to their own contemporary sensibilities. 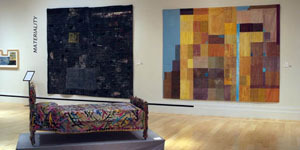 In addition, for decades, studio artists have pushed the boundaries of what quilts can look like, while collectors, scholars, and curators have advanced fresh perspectives on the significance of quiltmaking as an American folk art. 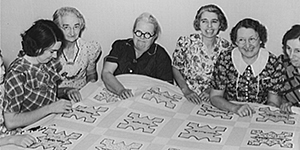 Whether sewing alone or in a group, whether designing a unique piece or following a traditional pattern, whether working as a professional or a hobbyist, quiltmaking is a quintessentially creative act.